Looking for away to see students understanding of any fiction Common Core Standard while reading different texts. Look no further! 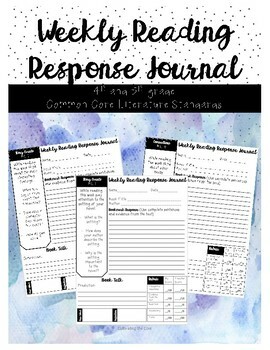 This bundle includes all Common Core 4th grade fiction standards which can be leveled for both 3rd and 5th grade. 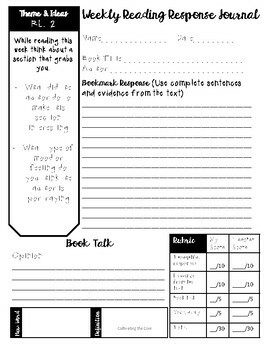 Students can read any fiction or non fiction text and respond to questions that ask them to analyze the text. 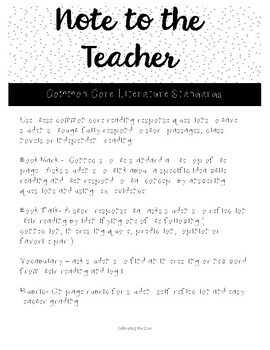 Additional activities include vocabulary and a book talk that asks students to connect or provide opinions about the text. A self grading rubric and teacher rubric is provided on the worksheet.